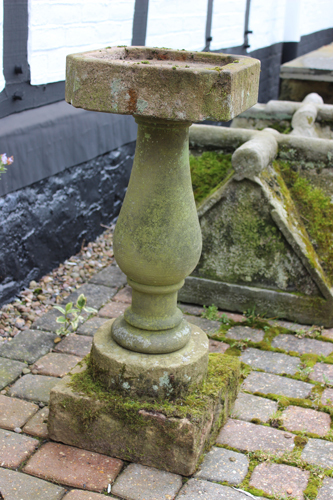 We are very lucky in this business to have the opportunity to hunt this land for items of beauty for gardens. 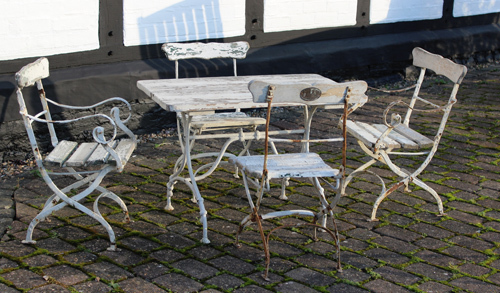 Antique, old, unusual, interesting and brimming with history and all with their own stories to tell. Just occasionally we find something that stands out. There is a feel to it. This is one such item. 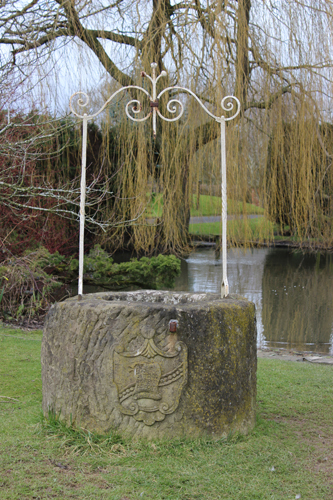 An 'Estate' made wellhead from Cheshire. 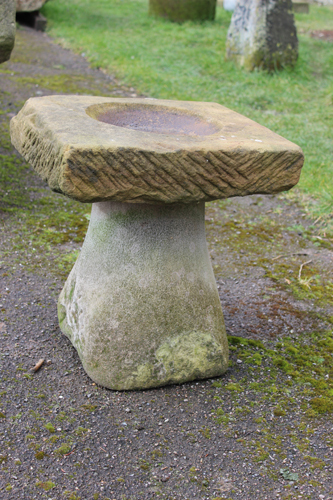 Simply carved on the estate with a crest and emblem of Cheshire added later. I wont guess at the date this was created. Safe to say it has seen many centuries. 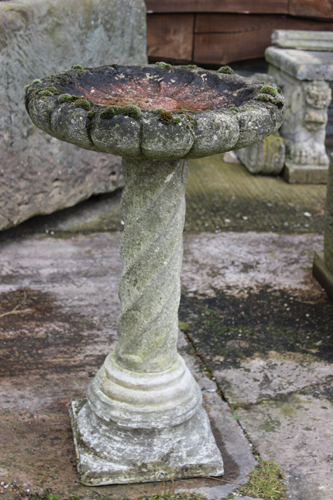 There is an inscription on one of the crests - 'ego sitienti dabo de fonte' which loosely translated says 'to him who is thirsty I will give to drink'. The original overthrow would have been a simple wooden one. 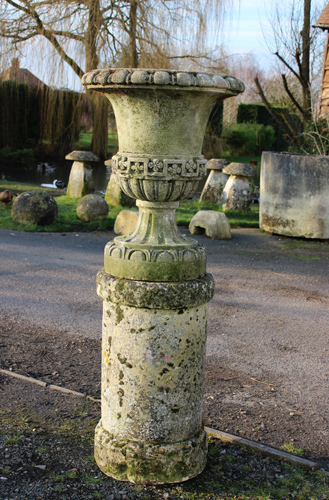 This one has been added later and is decorative and well made. 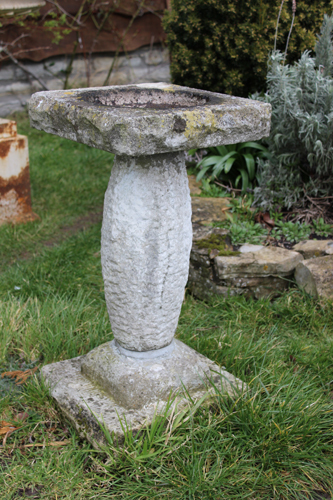 This simply beautiful English sandstone wellhead looks as if it belongs wherever it is placed. Its thick walls and simply hewn stone, smoothed with time and use gives weight and meaning to wherever it is placed. 20th century composite figure after Christophe Gabriel Allegrain. The original marble figure from 18th century is in the Louvre where it has been since 1824. This study launched the career of the previously unknown artist, Christophe Gabriel Allegrain, and was very much admired for its simplicity and naturalness in the beauty of the female form. It, at the time had ‘the admiration of even the masters of art’. 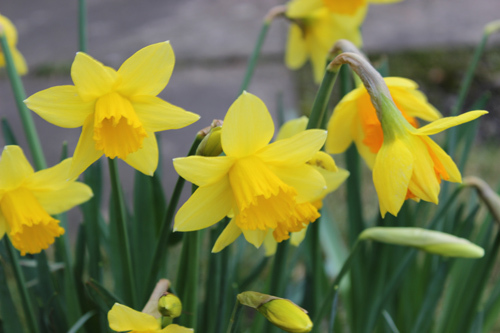 It has been reproduced over the years and is still a very popular figure today. 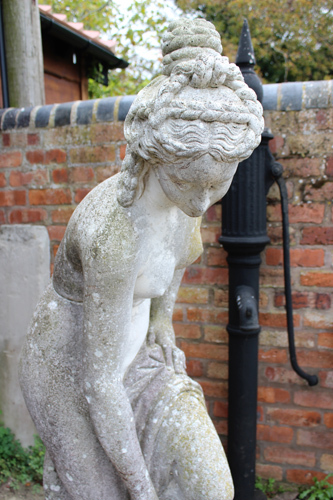 This particular statue is gentle in character, well made and in very good condition. 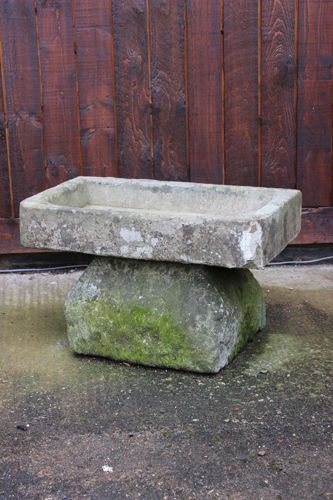 We spend our lives looking out for simple stone bird baths. 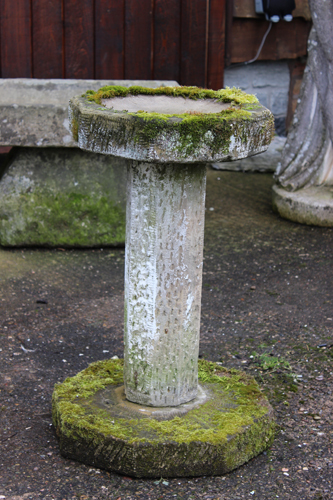 They sell so quickly that we almost never have any bird baths sitting in our stock. Unusually we find ourselves with several at the moment. A really lovely range of sizes and stones. 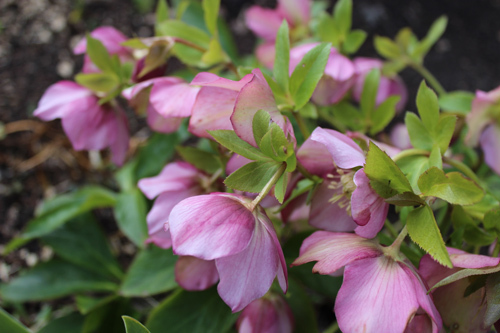 This beauty would look wonderful as a centrepiece to a rose garden, kitchen garden, parterre garden or at the end of a path. www.hatield-house.co.uk Opens to the public from 26th March this year and is well worth a visit if you have not been. 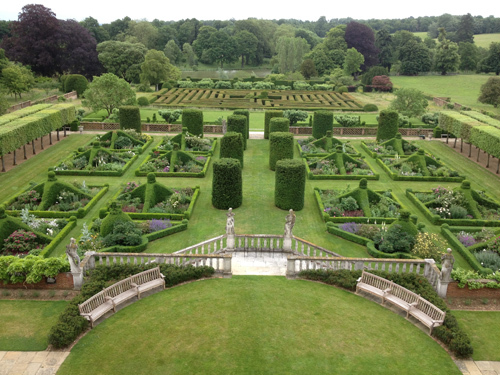 The East Garden was laid out by the 5th Marquess of Salisbury. 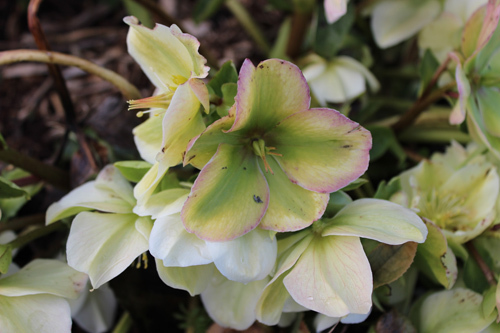 This part of the Garden has elegant parterres, topiary and rare plants are a delight for the gardening enthusiast and for those wishing to spend a quiet time in idyllic surroundings. Only open on Wednesdays, this garden on the private side of the house consists of formal box beds in front of the house and the seventeenth century 'New Pond'. The famous maze can be seen from a raised platform on the west side, but is not accessible to the public.